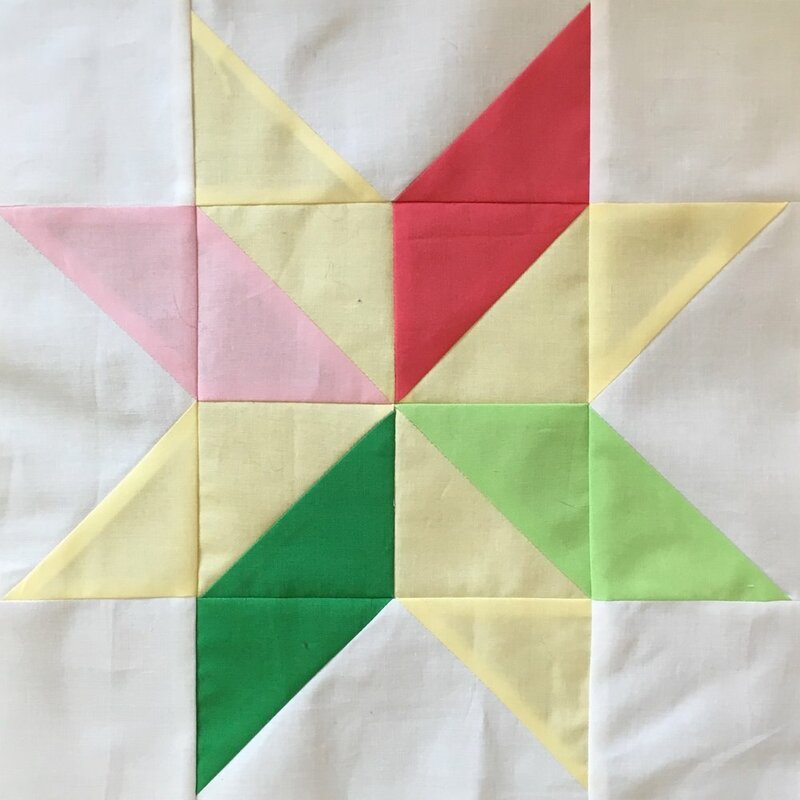 Here's my completed Star Sampler quilt made with the star blocks in the Proper Bostonian Quilters Guild 2017 Mystery Quilt. Instead of making the connector blocks in the pattern, I added the plus sign blocks. 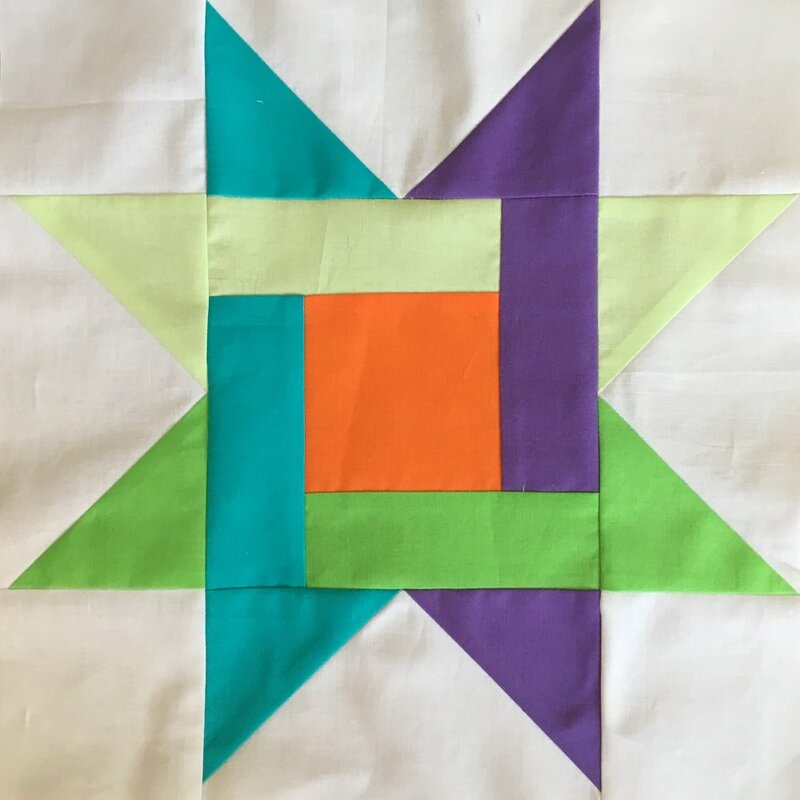 The mystery quilt blocks are set on point while I chose to make my straight. It was fun to make the nine different stars. And I loved using this bright colors and the white negative space. It's a happy quilt! 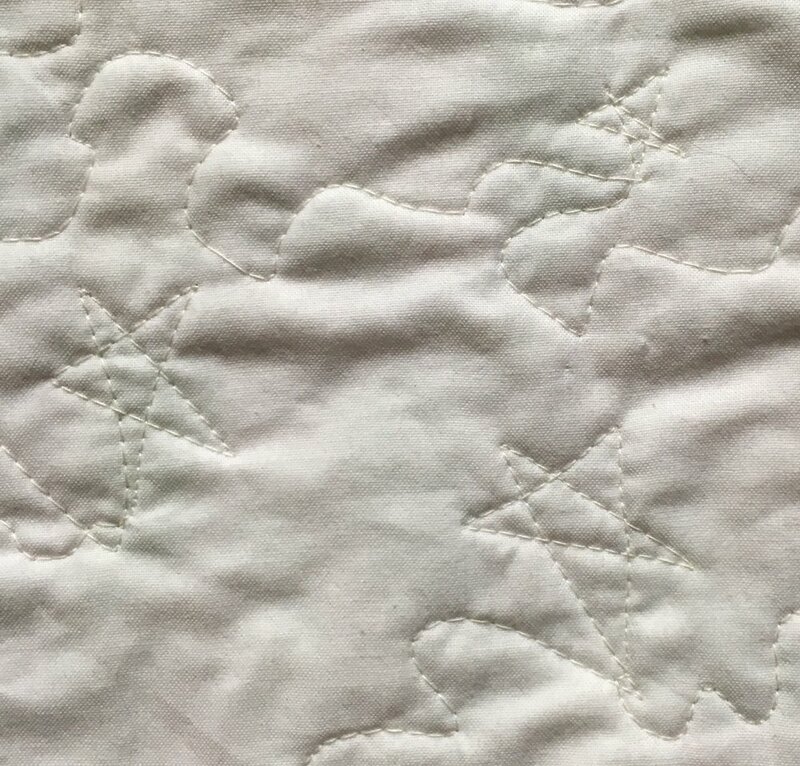 Free motion star quilting in the white connecting blocks.